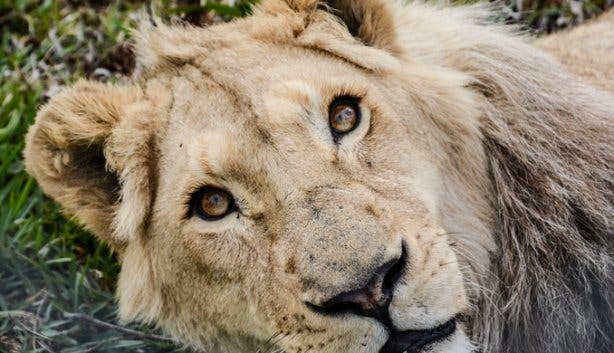 Safeguarding the wellbeing of big cats isn’t just a profession for Lizaene Cornwall and Cathrine Nyquist, the two ladies behind Stanford’s new Panthera Africa sanctuary; it’s a calling. 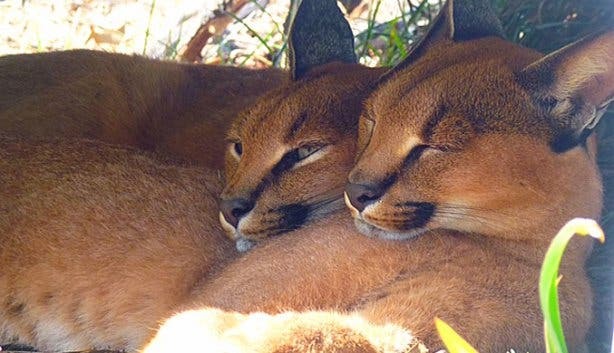 Both founders were bumbling along in business roles when they met the first feline loves of their lives through volunteer programmes, and the connection was so powerful and the urge to help so strong that they could do nothing but begin the journey that’s led them to the launch of this wildlife safe haven. Because the centre, which is set to open officially on Friday, 3 April 2015, was born from the flutterings of the heart, its intentions are pure and the health and happiness of the rescued creatures is held as the number one priority. For this reason, Panthera Africa (the name refers to a particular genus of big cat species) is not a commercial tourist destination; it’s a true sanctuary that aims to provide captive-born lions, Bengal tigers, leopards, caracals, black-backed jackals and more with the most fulfilling life possible, and thus no breeding or trading or petting will ever happen here. To make sure that the predators are content in their new “retirement home”, Lizaene and Cathrine chose a quiet, picturesque piece of land just outside the Overberg town of Stanford (just under two hours from Cape Town) as the site for the sanctuary – it’s dotted with fynbos and trees, blessed with beautiful mountain views and washed with plenty of sun and fresh air. 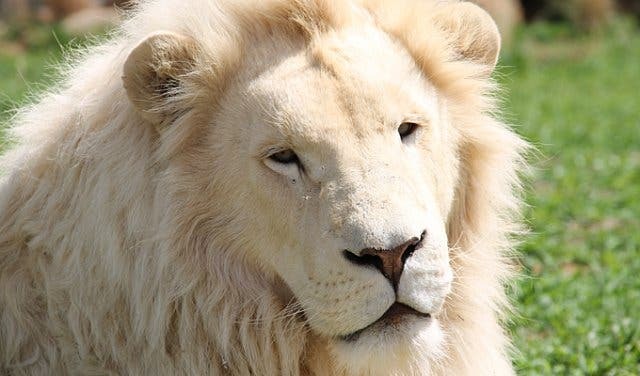 Not to mention, the owners have put a lot of emphasis on continuously stimulating and challenging the cats through an enrichment programme that encourages them to play with obstacles, climb raised structures, explore odd smells and even hunt for hidden food. 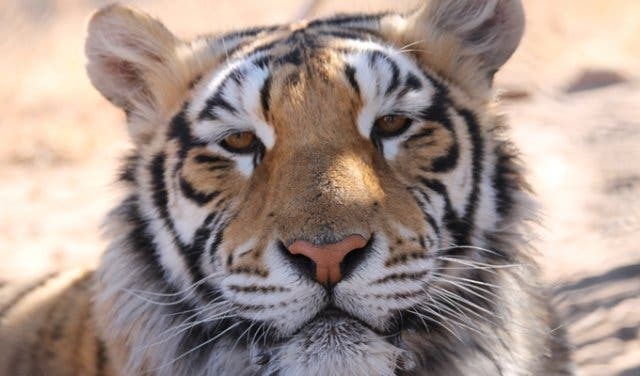 Aside from caring for the felines though, the retreat is also heavily focussed on raising awareness about the horrific conditions that captive cats often face in places like zoos and circuses in order to prevent other wild leos from ending up in similar situations. In line with this, the centre runs three guided educational tours a day, and during each trip, visitors walk around the sanctuary with a staff member, who’ll regale them with fun facts about every resident, from Pardus the black leopard to Neptune the white lion, and enlighten them about how these majestic creatures found themselves behind fences. 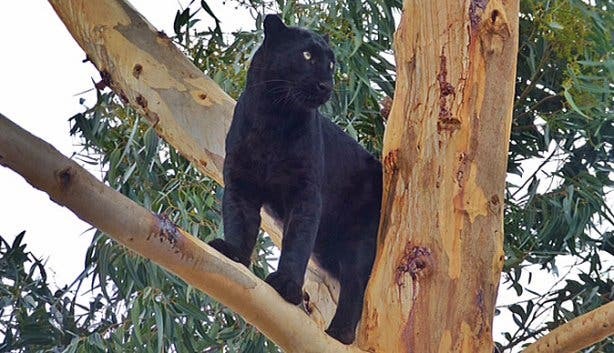 Anyone looking to layer their big cat experience with another dimension can also pre-arrange a special enrichment or feeding visit, which follows a similar format to the educational tours but also includes the chance to view the animals playing, hunting, running and dining. Though, the education extends beyond merely receiving facts. Visitors will also benefit from hearing the touching personal story behind each Panthera Africa inhabitant and seeing the softer side of these often-misunderstood mammals. And once you’ve had that sort of personal connection with a big cat at this admirable new retreat, you’ll likely have a slightly clearer understanding of why people like Lizaene and Cathrine don’t think of their role in feline conservation as a job but rather as an honour. NOTE: PANTHERA AFRICA ONLY OPENS ON FRIDAY, 3 APRIL 2015 AND FOR THE FIRST FEW MONTHS AFTER LAUNCH, PRE-BOOKING A VISIT WILL BE ESSENTIAL (THAT IS, NO WALK-INS WILL BE ALLOWED). 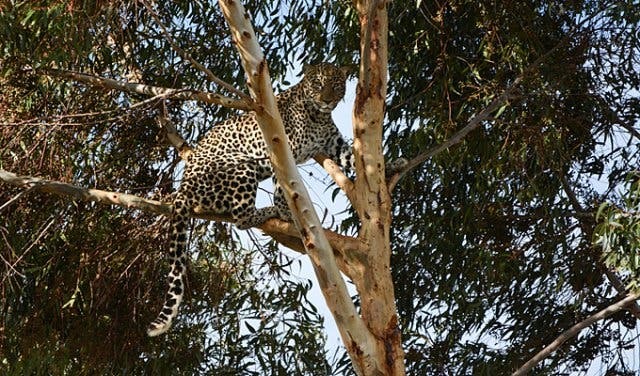 Tip: You can support Panthera Africa in a number of different ways:, you could make a donation via the sanctuary’s website (pantheraafrica.co.za); you could volunteer at the refuge for one day or longer; or you could even consider hosting your next corporate team-building event at the shelter (company events are not being run yet, but contact the sanctuary founders to find out when you can organise yours). The Bill: To embark on an educational tour at Panthera Africa, adults are required to pay R190p/p and children younger than 13 years of age have to pay R120p/p. On the other hand, the entrance fee for an enrichment or feeding visit is R290p/p (no kids under 16 years of age are allowed on this tour). Opening Hours: Educational Visits: Wednesday – Monday: 10am – 12pm; 12pm – 2pm; 2pm – 4pm; Enrichment/Feeding Visits: By special arrangement only. If this article appealed, you might also like: our guide to the best Cape Town safari adventures and game drives.